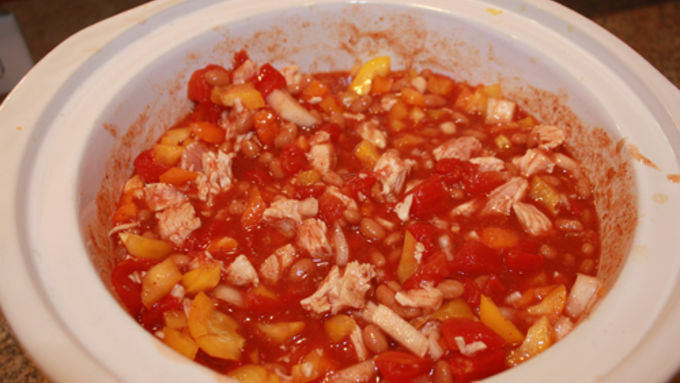 Place all ingredients except hot sauce and garnishes into slow cooker. Cook on low for 6-8 hours. Add hot sauce to taste. Serve with optional garnishes. Still have leftover Thanksgiving turkey lurking in the freezer? 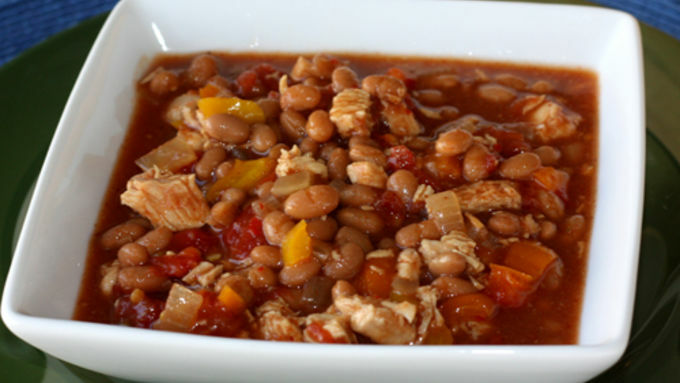 Use it up in this sweet & spicy Tex Mex Turkey Chili. It's absolutely delicious and has only 5 minutes of prep time -- so you can throw a pot together, do some serious Christmas shopping, and come home to a delicious meal ready to serve! (And if you're out of turkey leftovers, just substitute chicken!) 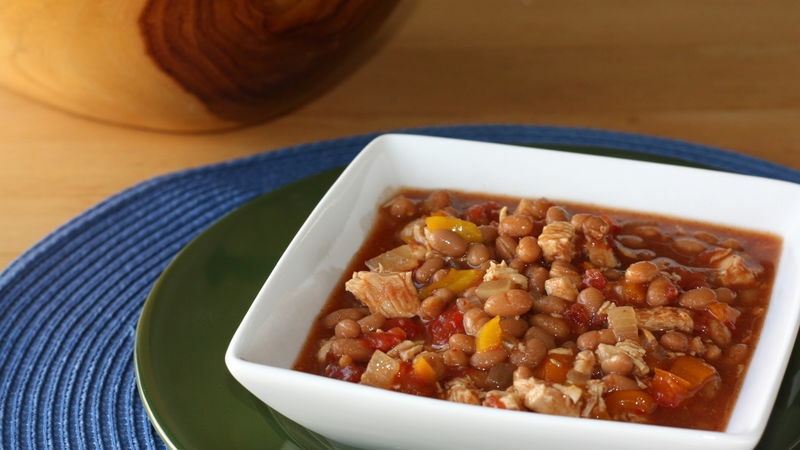 I have a confession to make…when the cold weather sets in, I become a slow cooker junkie. Most of the year it sits in my kitchen cupboard, but as soon as the evenings turn dark and cold, it becomes my favorite way to cook. I find myself searching for recipes, making family favorites and often throwing anything I can find in the pot! I can’t get enough of tossing things in to simmer during the day so we can have dinner ready and waiting in the evening. This sweet & spicy chili has only 9 ingredients and is such a fantastic and easy meal for a chilly evening. We’ve made it several times and love using up our Thanksgiving turkey in this recipe! My kids, who don’t normally like spicy food, loved this chili because of the sweetness from the pork and beans. My husband and I added our own hot sauce for a sassy kick and it was a winner all around. Could the directions be any easier? Throw everything into your slow cooker. Let simmer for 6-8 hours on low and you’re ready to serve! Enjoy!